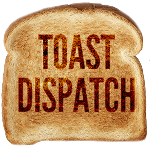 The Toast Dispatch is excited to bring back the ‘Toasties’, awards that YOU, the fans get to vote on. You can vote now on the polls below now. Voting runs from now until April 15th. UPDATE: Voting is now closed, thanks everyone! You can view the results below. Watch the videos below, then vote on which you think was the Goal of the Year. Who’s got the best beard on the Blues? What’s the funniest Blues related account to follow on Twitter? Thanks for voting! 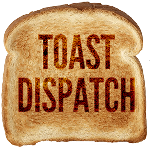 Check back April 15th to see the winners, or follow us on Twitter, at @ToastDispatch.